Please tell me both stone choices using months. Examples of the stone choices for the months are provided in both the description and the photographs. 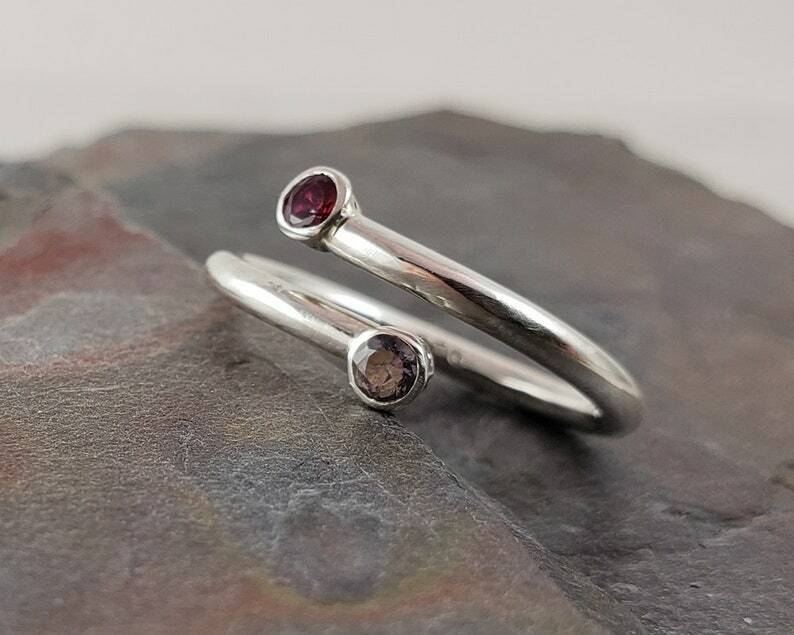 This sterling two stone ring is sturdy and yet lightweight. It features two top quality 3mm lab stones of your choice. The band is a thick 1.6mm heavy sterling silver. This band is thicker than most bands you see made this way and therefor is not readily adjustable. This ring will not bend out of shape over time and will hold up for you. The ring comes nicely boxed. Please do not forget to tell me proper stone selections. (Please use months to tell me unless you are asking about using natural stones.) Failure to do so will cause creation delays and result in slowing the shipping time.